There comes a point in many a London family’s life when they pose the inevitable question: “Should we move out of the capital?” Many have laid down roots and choose to stay put, but others take the plunge, spreading the #nomumleftbehind mantra up and down the country. 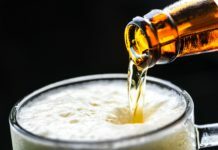 In this new blog series, we’ll be profiling a wide range of different areas in case you’re at a similar crossroads in your lives. From Cornwall villages to rural Wales, from the Kent coast to the Surrey suburbs, there are endless options to consider if you’re on the lookout for pastures new. 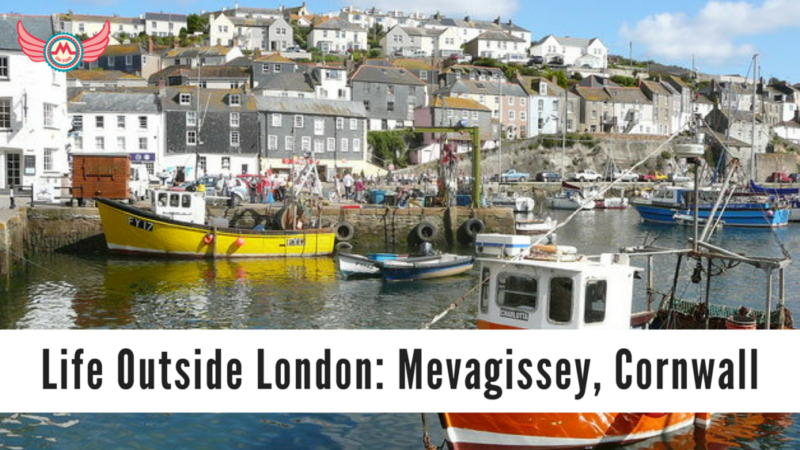 Mevagissey – a small, picturesque fishing village on the south coast of Cornwall. We lived in Wilmington near Bexley for two years and before that we were in Chislehurst. Why did you leave London? Life sometimes writes strange scenarios for us and I don’t have enough space here to write why we did it but I will try to highlight the main reasons. From our perspective our life changed in 2012. The first big change was arrival of our daughter, Millie. Then in a very short space of time we lost a number of people very close to us; some of whom were our age with children. Then my husband was made redundant when I was pregnant with our second daughter, Olivia. Everything came at us at once and we started thinking that we needed a change; we thought that there had to be more to life. We’d always loved being by the sea and during one of our short trips down to Cornwall an idea appeared: perhaps we could move here and run a B&B? We could be living the dream. How did you choose your new location? We knew that we would love to be somewhere in the south west of England, in Devon or Cornwall. 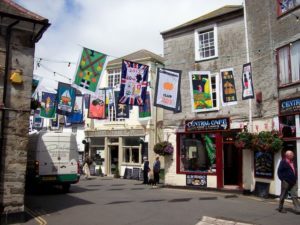 We took our first trip to look at the B&Bs for sale in April 2015 and visited Falmouth first. We looked at a few properties but none of them stood out. The second Cornwall trip was in June 2015. I remember that day like it was yesterday because this was the day when everything changed. We left London at 4am and arrived in Mevagissey at 8:30am. It was a warm and sunny morning and the viewing was at 10am, so we went for a walk around harbour. 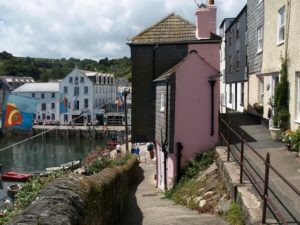 We had never been to Mevagissey before and we couldn’t believe how beautiful it was; the harbour, sea, views – everything was so much more than we’d expected. We sat at the seafront drinking coffee and we knew that this is what we wanted to do. Then we came to The Old Parsonage for a first viewing and it was love at first sight. The previous owner opened the front doors and it felt like the house give us a big, warm cuddle and said “I was waiting for you…” The viewing lasted for almost three hours, and during this time we’d already started moving in. How long before moving did you start looking? We needed a business plan and a loan to buy the house and it took few months to sort out. Our previous house sold very quickly (two weeks) in November but we eventually moved in in March 2016 after the most stressful few months of waiting. At what point did you think about schools and childcare? I researched schools before we came for our first visit and knew there was a pre-school and primary school in the village. I booked my second trip to view the house again but more importantly to visit l the local school. And like Mevagissey, I loved it. The space kids had, the outdoorsy way of teaching them; it was the last doubt we had but it was gone after that visit. And also it felt right to do it now, before girls got older and go to school. What did you do about work? From day one I was running the B&B on my own. We opened the door to our guests in April 2016. We decided that my husband would stay in London and work at his then current job as long he needed to. We were building a business from scratch, which takes time, and we knew that first few years would not be easy. He was living Monday-Thursday with his parents in Shortlands and coming on the afternoon train to Cornwall on Friday evening, then leaving on the first train on Monday morning. We did this until March 2017, at which point he moved to Mevagissey for the season and worked part-time from home for his current employer. As it is only our second season, he will be back to London at the end of October to work full time while I will be in Mevagissey with girls running B&B during the winter. We hope this will be the last winter and then from April 2018 we can say that we are all together permanently. What’s the best thing about where you live now? Freedom and community spirit. We never expected that we would be so welcome in the village. Our children made lots of friend and so did we. Life here is much more relaxed, with a slower pace of life. Everything is effortless and easy to do. I’m originally from Poland and I moved over 20 times in my life and this place made me feel for the first time that my family belongs here, this is our place on the Earth. The kids love being by the sea, we have the most beautiful scenery on our doorstep and we spend hours enjoying the family time. What’s the most surprising thing about where you live now? How much time we have for each other, even that we are running a bed and breakfast. It wasn’t easy; my mum moved with us in the beginning to help looking after the girls while I was working. We have plans for the future, to extend the house, to get involved even more in village life and enjoying every single day as we really don’t know how much time we really have to do so. What do you miss about living in London? I think family and friends but we never looked back and thought we made a mistake. Have there been any downsides to the move? The stress of starting everything from the beginning. Packing all our belongings, selling our house and moving across the country. 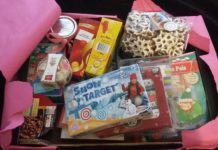 Putting everything in one basket and being away from my husband during the week felt like being a single mum sometimes. And then during the winter we took on a big renovation of the house which I had to manage and go through with kids running around. But I love this about us, that we have the courage to do it, that we realised that we can do something different from the normal stereotypical suburban family model. I definitely consider us the lucky ones. What are your top three tips for moving with children? Support and childcare. We were lucky as my mum moved with us for few months at the beginning to help with preschool runs and looking after girls. So make sure you have somebody to help. The beginning won’t be easy. Send your kids to visit family or friends during the move and for the first few days when you trying to organise everything. Book your kids to start nursery, preschool, school and afterschool clubs as soon as you move. It will help your children to settle in and this is the best way to meet other people with children and start new friendships! What one piece of advice would you give to anyone considering a similar change? Do it! It is better to regret something in life rather than wonder for rest of your life “what if”. Follow your dreams, there will always be doubts but you can do it! Moving down to Mevagissey feels like we’ve finally spread our wings. We are happier than ever before. And we’re actually seeing our family and friends more often than before, because travelling here seems easier than travelling across London. Where can people find out more about life in your new location? 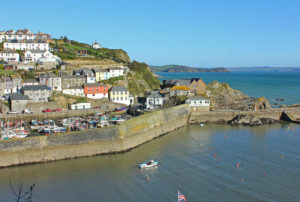 Mevagissey is very popular holiday destination. I would suggest to come on holiday and see for your own eyes how amazing this place is. But village life may not be for everyone – there are only 2,000 living here permanently and everyone knows each other. 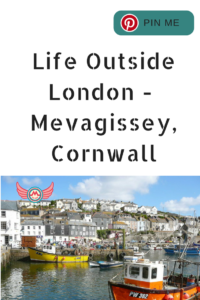 If you would like to read about Mevagissey just type the word into search engine and you will find everything what you looking for. Or you can contact us at The Old Parsonage – we are very happy to help! There’s an excellent preschool and primary school in the village. Secondary schools are located in a nearby town but a school bus collects kids from our village. Nearest A&E:  Royal Cornwall Hospitals NHS Trust (40 minutes drive), minor injuries St Austell (10 minutes drive). 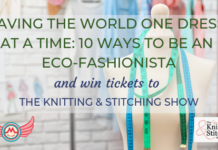 This Life Outside London blog series has been expertly curated by Hayley Brockie-Dunlop from Mumroll. Follow her at Twitter @hayjane / @mumroll, Facebook: @mumrollUK, Instagram @hayjane and online at www.mumroll.com. Huge thanks to Hayley for all her hard work. Founder of MGF, Helen is a mum of four who spends way too much time on the interweb and not enough time in bed. She loves wearing her dressing gown, car boot sales and watching TV programmes featuring food. Her specialist subjects include 'how to overfill your car boot' and 'how to avoid dusting'. Follow her at Twitter: @Ginfund, Facebook: @MGFund, Instagram: @mummysginfund and online: www.mummysginfund.co.uk.